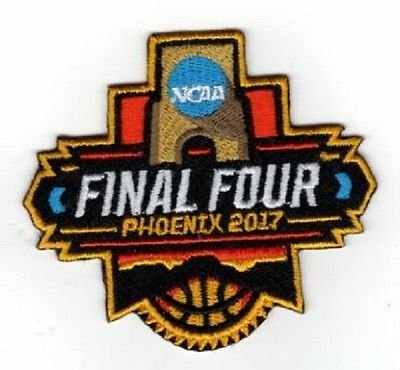 You are purchasing an official NCAA 2017 Men's Final Four jersey patch. These high quality jersey patches are embroidered in full color & can be sewn or ironed on to jersey (measure 2-1/2"). New from distributor. CAN BE IRONED ON OR SEWN ON TO JERSEY MEASURES 3-1/2"
View More In Sleeve Patches. If you have any questions about this product by FINAL FOUR, contact us by completing and submitting the form below. If you are looking for a specif part number, please include it with your message.